﻿ UK SSD Master Reseller Web Hosting by OwnBox. Own Boxes SSD UK Master Reseller cPanel web hosting gives you the ability to sell Reseller accounts as well as standard cPanel accounts. Your Resellers will have access to WHM so they can create their own cPanel accounts and packages how they see fit within the resources you have assigned to them, best of all its all white labelled so no one will know they are being hosted by Own Box. cPanel is the web hosting industries leading control panel for shared hosting for its easy to use interface, Security, features and available modules to customise hosting services. cPanel easily allows you to manage MySQL Databases, Email Mail Accounts, PHP Configuration, Domains, Subdomains, Email forwarding and other services. We also include popular App installer Softaculous giving you access to over 450 apps, Plus SitePad Website builder. Anti DDoS Protection & Daily Backups. Own Boxes SSD cPanel Reseller Hosting nodes coms with Anti DDoS Protection included and can absorb attacks up to 500Gbps and while detecting safe traffic, letting genuine users continue using your Website & Services. Own Box also run daily backups of all cPanel accounts and retain 5 backups of your website with jetbackup, so you can restore any cPanel account at any time via cPanel or WHM..
WHM (Web Host Manager) is the back end of cPanel for Server Administrators and cPanel Resellers and like cPanel it has an easy to use interface. WHM is where you can create, suspend & delete cPanel accounts, edit & Add Web hosting packages, view cPanel account resource usage and edit & add DNS. WHM interacts well with popular software such as WHMCS, Blesta, hostBill and others letting you automate your Web hosting business. Cloudlinux is an operating system designed for the Web Hosting industry that isolates your website in a virtualized environment so your websites on your Reseller account does not suffer from bad neighbour effects, which improves stability, density, and security. Having cloudlinux installed gives you the ability to select your favourite PHP version from PHP 5 to PHP 7.3 and the ability to install from a huge list of PHP extensions. 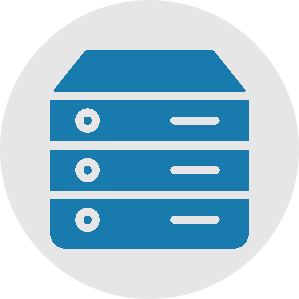 Unlimited MySQL Databases & Emails. All our UK Master Reseller Hosting packages come with unlimited, fast, secure MYSQL Databases hosted on fast SSD RAID storage and with PhpMyAdmin installed to easily administer your databases. Your Reseller hosting also comes with the ability to create unlimited email accounts with features such as webmail, Auto responders, Forwarders, Email tracing and cache mail as well as mailing lists, spam filters and email filters. Super Fast SSD NvMe Storage. Own Box cPanel Reseller Hosting only use Datacentre edition NvMe SSD storage drives for super-fast speeds and low latency for your services and offer 6x better performance than traditional SSDs, NVMe (Non-Volatile Memory Express) disks are based on NAND Flash memory. By sitting directly on top of the PCI Express bus, previously used by other devices like graphics cards, NVMe disks are not affected by the bottlenecks of the SATA interface. We operate only on SSD NvMe drives and use one of the most Fastest & Advanced networks in the world, complete with fast Intel Processors. OwnBox uses the Web Hostings industry leading control Panel cPanel & WHM packed with script installers and Website builders. Our UK datacenters are Tier 4 certified and all services come with 500Gbps Anti-DDoS protection, to keep your services online & secure. All Master Reseller Hosting packages come with Dedicated IP addresses to avoid you getting on blacklists and to improve SEO. Create unlimited Email accounts, packed with email features such as webmail, Auto responsders, Mail lists and SMTP, POP3 Mail access. Keep all your websites and projects secure and issue as many SSL certificates as you wish from the cPanel control panel. Create as many MySQL databases on fast SSD Disks as you like with our reseller packages and include them in the packages you offer your clients. Access to over 465 popular apps and script to install from your cPanel control panel such as Wordpress, Joomla, Mybb and loads more. Select your favorite version of PHP to use and configure the php.ini for directory from your control panel with our Master Resellers. All our Master Reseller hosting servers are based in South-East London, in the heart of the United Kingdom. Your ordered cPanel Reseller Hosting will be automatically and instantly activated as long as you are using a credit card for your purchase. A dedicated IP address is just what it sounds like, it means that your domain is assigned an IP address that isn't shared or used by any other domains. It's your domain's home on the web and avoids you getting on any blacklists and improves SEO. NVMe (Non-Volatile Memory Express) disks are based on NAND Flash memory. By sitting directly on top of the PCI Express bus, previously used by other devices like graphics cards, NVMe disks are not affected by the bottlenecks of the SATA interface. This makes NvMe disks performance 6x better than standard SATA SSD drives. We provide KVM based VPS hosting, server and Web Hosting solutions of unmatched quality. Feel free to visit or contact us for a custom quote. Copyright 2018 © OwnBox Hosting Services. All rights reserved.